Produkttyp ÖLWANNE. »Pathfinder. »Outlander. »Mitsubishi. »Mountaineer. »Grand Miarquis. »SLK-klasa. »CLS-klasa. 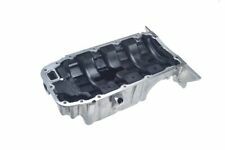 Item Specifics:2005-2010 - MK2 - 1.0 PETROL - OIL SUMP / PAN - ENGINE CODE ( B10S1 ). MATIZ 2005 -2010 Mk 2. Part:Oil Sump/Pan. This Oil Sump/Pan was removed from a2007 car and has been fully inspected. CHEVROLET KALOS / 2005 - / 2011 Gasolina: 1.2. CHEVROLET MATIZ M200, M250 / 2005 - / 2011 Gasolina: 1.0, 1.0. Daewoo Kalos clasificado / 2003 - / 2005 Gasolina: 1.2. Chevrolet Aveo T250, T255 / 2008 - / 2011 Gasolina: 1.2. Reference OE/OEM Number 96023264. Se adapta a la Chevrolet· Aveo· Ventana trasera T300 [2011-2016]. Chevrolet· Aveo· Salón T300 [2011-2016]. Condición Nuevo. KIT DE REGULADOR DE VENTANA DE E.E.U.U. Y CLIP. This is an original quality part manufactured by Elring. FOR CHEVROLET CAMARO. Vehicle compatibility. Multiple choices exist for:CHEVROLET CAPTIVA 2.4 Drain Sump Plug Seal. 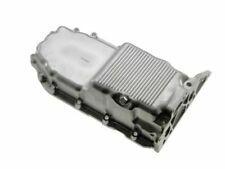 FOR CHEVROLET CAPTIVA. This is an original quality part manufactured by Elring. Material:FPM (fluoride rubber). Quantity Included:1. 1x drenaje junta del tapón . Chevrolet Aveo hatchback T300 (2011-2018). Chevrolet Aveo notchback T300 (2011-2018). Chevrolet AVEO Hatchback T300 1.2 2011/03-2018/12 1229 CC, 51 KW 69 CABALLOS DE FUERZA. Inhalt 1x Ölwanne. CHEVROLET MATIZ (M200, M250) 0.8. CHEVROLET MATIZ (M200, M250) 0.8 LPG. DAEWOO MATIZ (KLYA) 0.8. Einbauseite unten. LORO 100-00-099. DAEWOO TICO (KLY3) 0.8. Vor dem Kauf. CHEVROLET LACETTI 1.8 05-. PASST FÜR Dadurch kann der Umfang der Zubehörteile variieren. nicht sicher sind, ob Sie den passenden Arktikel ausgewählt haben. Alle Rechte vorbehalten. ein bestimmtes Produkt?. Function Sealing Plug, oil sump. FEBI BILSTEIN 31119. CHEVROLET MALIBU (V300) 2.0 D Saloon Diesel 04/2012 on FWD 16 160 118. CHEVROLET 93183669, 93183669S1. Surface Zinc-coated. FIAT BRAVO II (198_) 1.6 D Multijet Hatchback Diesel 09/2007 on FWD 16 105 77. CHEVROLET 96481581. DAEWOO 96481581. CHEVROLET LACETTI (J200) 1.4 16V Hatchback Petrol 03/2005 on FWD 16 95 70. CHEVROLET LACETTI (J200) 1.6 Hatchback Petrol 03/2005 on FWD 16 109 80. CHEVROLET LACETTI (J200) 1.8 Hatchback Petrol 08/2005 on FWD 16 121 89. CHEVROLET 96481581. DAEWOO 96481581. CHEVROLET AVEO / KALOS Hatchback (T200) 1.4 Hatchback Petrol 03/2005 05/2008 FWD 8 83 61. CHEVROLET AVEO / KALOS Hatchback (T200) 1.4 16V Hatchback Petrol 03/2005 05/2008 FWD 16 94 69. Ölwanne passend für Chevrolet Aveo 03.06-05.11 04.08-05.11 01.03-03.06. Vorauskasse: Kostenlos DE. Material: Stahl.